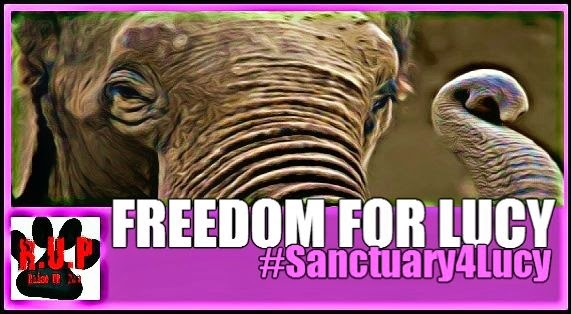 We the people worldwide are coming to you in a civilized manner to request that you give freedom to an innocent life named LUCY, Canada’s last Northern Elephant at Edmonton’s Valley Zoo. Please take note that this is not a dispute or argument in regards to whether or not Lucy’s human caregivers love her or not - it is simply a request to make the honorable choice to give Lucy sanctuary, so that she can be provided with a connection that her caregivers cannot provide to her – and that is the real family, friendship, and natural environment that she desperately needs – a union and bond that needs to be a role within her life. Because after all, isn’t it imperative to put the needs of life before our own? First, we want you to know that we understand, according to sources, that the zoo in which Lucy resides in has made upgrades to her living environment – but in truth, money cannot purchase aspects of life that is needed and that is freedom, family, fulfillment of developmental needs that only those of her own species and natural environment can provide to her. She has played a huge role in the community, more so than many other members considering that she has been obligated to give up her life and freedom to provide entertainment to countless individuals – years within confinement, and many times in solitary—and so we respond to this by asking – shouldn’t the time be now that we give her the opportunity to experience that life that she was intended to have and not the life we intend her to live, to finally give her that taste of freedom? We are also making this appeal due to the statements, also according to sources that Lucy is suffering from health concerns and issues; rheumatoid arthritis and respiratory issues. Such concerns and issues as these can be affected by the coldness – which Lucy is enduring due to the environment in which she resides in – and I am sure that the effects that coldness does to humans with this form of arthritis, has the same impact on animals – inflammation and pain to the joints, and also this type of weather can cause problems when dealing with respiratory issues as well. It is not enough to just upgrade the environment or bring her in when it’s cold outside, she is in desperate need of sanctuary – to be placed in an environment in which is appropriate and suitable for her species, where she can be provided with the necessities of life that she requires and is in dire need of. We do not know how much time she has left, but would it not be more humane and compassionate to allow her to live whatever time she does have in happiness, and the way that she was meant to be. The fate of her life is literally in your hands, and we hope that you will find it in your hearts to give back to her what was taken, to show her that her well-being and welfare matters. Don’t let her leave this world as a slave to humanity – let her leave as she came in – Free!